When you’re in the market for a premium SUV that can practically accommodate your everyday driving needs while also making a serious impression on the road, the 2018 Acura RDX is sure to impress—inside as well as out. The exterior of the RDX comes with stylish LED headlights and 18-inch alloy wheels, as well as a stylish yet commanding presence that’s hard to miss. Here, we’ll look at some of the premium exterior features available on this model. When you’re ready, come check it out at Acura of Ocean in Ocean, NJ. The Acura RDX’s standard Jewel Eye® LED headlights are elegantly integrated into the bodylines of this model and provide optimal visibility for the driver. From front to back, the 2018 Acura RDX projects its athletic and aerodynamic character, from the 3D front grille to the muscular body lines. Every trim level of this stylish luxury crossover SUV comes standard with imposing and stylish 18-inch alloy wheels. The RDX comes with a remote power-operated liftgate that gives you easy and convenient access to the vehicles abundant cargo area for hassle-free trips to the grocery store. Available now at Acura of Ocean, the 2018 Acura RDX brings you a substantive luxury package for less than the competition. In addition to its clear exterior appeal, this luxury SUV is also offered with premium interior features like leather upholstery, heated front seats, soft-touch interior surfaces, and brushed aluminum trim accents. 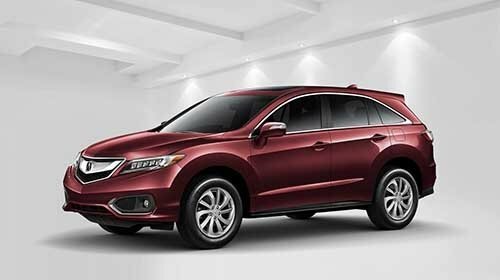 After comparing the RDX to the Honda Pilot, check out this five-passenger crossover in person, and take the drive to Acura of Ocean, where you’ll find an impressive lineup of new RDX models for sale right now in the color and package of your choice. Our doors are open for sales Monday through Friday from 9:00 a.m. – 8:00 p.m. and Saturday from 9:00 a.m. – 6:00 p.m. If you’ve got questions, contact us online or give us a call at (732) 776-5200.